To increase the speed of operation, and to meet the latest Manual Handling and Safety requirements, Lodematic were asked to design and manufacture a Board Segregator/Dispenser to allow operators to de-stack pallets and to replace damaged boards with the minimum of effort. 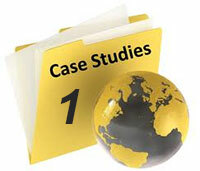 As a result, Lodematic have been supplying these machines to the worldwide market ever since. Loading and off loading of pallet stacks by fork lift trucks is carried out from the same position, which minimises the amount of floor space required. The height of stack can vary, according to your needs, with the use of a hydraulically operated platen which holds the boards in place when turning through 90º. Once the boards are ‘on edge’, the operator, with the use of valve lever controls, is able to fan out the stack, which allows easy removal and replacement of damaged boards. Not only are these machines labour saving, but they also meet many requirements of the Manual Handling legislation. Furthermore, they are well engineered, well built, robust, very reliable and withstand the test of time and constant use of fork-lift trucks”..
Reversal of the procedure not only re-stacks the pallets ready for off loading, but also ‘squares up’ the boards. Most board sizes can be handled and gross weights of up to 3500 Kg, though heavier weights can be considered. 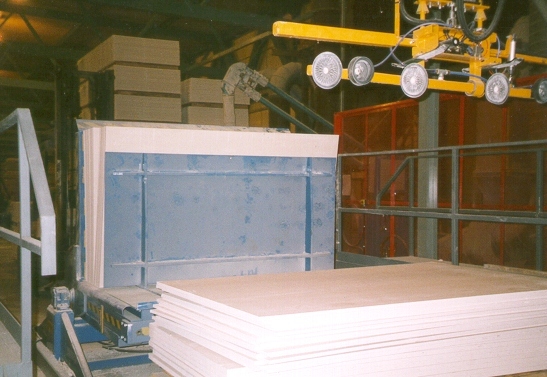 The Lodematic Plasterboard Manipulator enables boards which require attention (such as edge taping) or which have been damaged during the manufacturing process to be easily removed or replaced from within a stack. 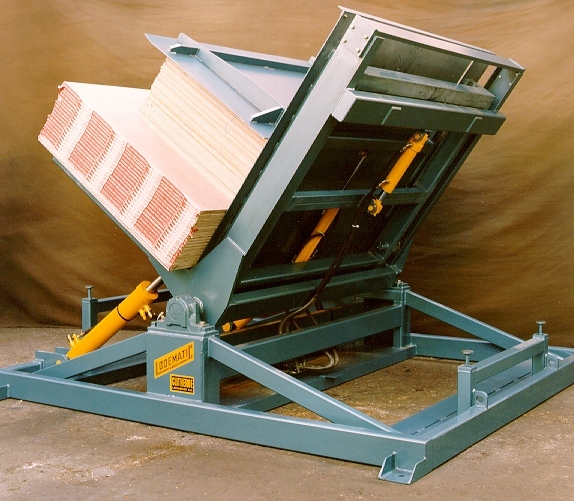 With Lodematic Manipultors now in use across Europe and used by major plasterboard companies including British Gypsum and here are a few reasons why they invested in a Plasterboard Manipulator. The current manual method used by many Plasterboard Companies involves the use of a fork lift truck driver and two men who physically remove the boards manually to reach the damaged boards for replacement. If the damaged boards are in the centre of the stack, this whole operation of removing the outer boards, replacing the damaged ones and re-stacking can typically take up to twenty-five minutes. The technical configuration of our Lodematic machines require only one person, meaning the whole operation can be completed in just five minutes. Due to the height of the Lodematic Manipulator, boards can be removed at a height more suitable for the operator. This diminishes the possible risk of back strain safeguarding the Operator from health problems and the Business from meeting their employee responsibilities keeping a far healthier and happier workforce. Lodematic has also added an overhead gantry with suction cups to lift out heavy long boards such as 54″ x 16′ boards. This allows them to either put the boards in our work stack or waste stack. If a board is thought to be damaged, many companies attempt to save time (but waste large costs) by scrapping complete stacks of boards as this also means less workforce and time are required to manage damaged stock. The Lodematic Manipulator not only saves time and resources, it also naturally saves money therefore their saving on waste is considerable. As a dedicated provider of product handling solutions, Lodematic‘s in-house expertise and flexible design and manufacture capabilities enable the company to meet the specific requirements of individual customers and applications, including design and build of sophisticated electrical control systems. Guarding is compliant to BS5304and Machinery (Safety) Regulations and is also manufactured in-house by Lodematic. 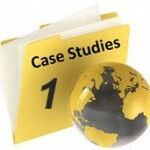 Supply of equipment is fully supported by installation, commissioning and training.